Support for adult suicide loss survivors, including spouses, partners, parents, siblings, children, family members, friends, neighbors, professionals, caregivers, and co-workers. Free monthly peer-facilitated support group for adults (18+) led by trained facilitators who are also suicide loss survivors. During our meetings, members provide mutual support to others as they discuss difficulties they may be having coping with their loss and can seek opportunities to learn new ways of approaching challenges and situations that have come up as a result of the suicide death. This includes: looking for experience dealing with secondary losses, how to handle the things people say to suicide survivors, what you can do to handle difficult anniversaries, special occasions or “tender days”, and getting help with processing feelings often associated with a suicide loss (including guilt, anger, shame, blame, self-doubt, fear, abandonment, relief etc.). 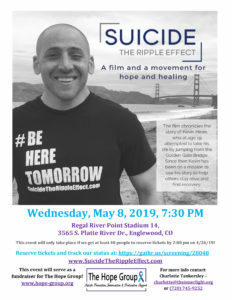 Southwest Metro Denver Survivors of Suicide provides a safe and confidential space to exchange ideas and support in a non-judgmental, non-discriminatory and inclusive environment. Support for teen suicide loss survivors. 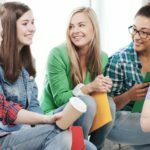 Teens Overcoming Grief After Suicide is a free monthly support group by led trained facilitators (who are also suicide loss survivors) for youth ages 13-19. During our meetings, teens provide mutual support to others as they discuss difficulties they may be having coping with their loss and can seek opportunities to learn new ways of approaching challenges and situations that have come up as a result of the suicide death. Teens Overcoming Grief After Suicide provides a safe and confidential space to exchange ideas, learn coping skills and gain support in a non-judgmental, non-discriminatory and inclusive environment. Support for adults who have survived a suicide attempt or who have ongoing suicidal thoughts (also known as suicidal ideation or SI). 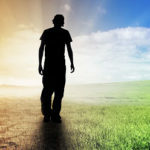 Surviving, Striving & Thriving is a free peer-facilitated support group in Denver for adults 18+ who struggle with suicidal thoughts or who have survived a suicide attempt. We gather together monthly on the second Thursday each month from 6:30 pm – 8:00 pm at the Sheridan Library (3425 W. Oxford Ave., Denver, CO 80236) in Study Room 2 to provide understanding through mutual experiences, coping skills, provide additional resources in the community as well as build a support system in order to create a safety net and promote healing. Other opportunities for socialization are provided outside the group, as is a monthly community service project to foster growth, increase self-esteem and offer a chance to give back to the community. 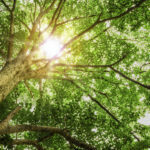 Surviving, Striving & Thriving is led by trained facilitators who have also experienced ongoing suicidal ideation and/or have survived a suicide attempt. Support for teens who have suicidal thoughts (also known as suicidal ideation or SI) or who have survived a suicide attempt. Teens Surviving, Striving & Thriving is a free support group for youth ages 13-19 who struggle with suicidal thoughts or who have survived a suicide attempt. We gather together monthly on the third Wednesday each month from 6:00 pm – 7:30 pm at the Sheridan Library (3425 W. Oxford Ave., Denver, CO 80236) in the Conference Room* to provide understanding through mutual experiences, coping skills and link youth to additional resources in the community as well as build a support system in order to create a safety net and promote healing. Teens Surviving, Striving & Thriving is led by trained facilitators who have also experienced ongoing suicidal ideation and/or have survived a suicide attempt. Support for family members and friends of individuals with a history of suicidal thoughts (also known as suicidal ideation or SI), a previous suicide attempt or a chronic mental health condition. Support for adult friends and family members of individuals (of any age) with ongoing suicidal thoughts, a chronic mental health condition or who have survived a suicide attempt. Group 4F is not for suicide attempt survivors or suicide loss survivors unless you are also supporting a family member or friend who has a history of suicidal ideation, an attempt or an ongoing chronic mental health condition. Led by a trained peer-facilitator with several family members who have chronic mental health conditions and past hospitalizations who understands that loving someone who is struggling can often feel difficult, isolating and exhausting. Safe and non-judgmental space to exchange ideas, coping strategies, self-care tips, tools for our loved ones and a place to find support from others who share similar experiences. Our groups are not a substitute for medical treatment or professional therapy. Our peer facilitators have shared similar life experiences to those in the groups they facilitate and have gone through facilitator and suicide intervention skills gatekeeper training. The role of our facilitators is not to diagnose or treat members of the group but to guide the flow of conversation, start and end the group on time, help teach coping skills and ensure the group remains a safe space for members to heal. While The Hope Group does not provide crisis services, we care about your well-being and what happens to you! A list of local resources is available at every meeting or via email (usually within 24 hours) by emailing our Program Manager at charlotte@theinnerlight.org with the subject: RESOURCES PLEASE! If you or someone you know is feeling suicidal or is in crisis: please contact Colorado Crisis Services at 844-493-TALK (8255) or text TALK to 38255. You can also reach them at www.coloradocrisisservices.org. You can also call the National Suicide Prevention Lifeline at 800-273-TALK (8255), reach the Crisis Text Line by texting HOPE to 741-741 or visit www.imalive.org for online text chat. Don’t give up, please reach out! Hope and help are available 24/7/365.